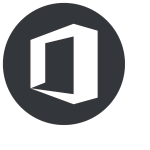 All Microsoft Office related articles can be found in this section but if you can’t find a topic you are looking for you could always use the Search box. a topic you are looking for you could always use the Search box. There are 290.2 million mobile subscribers within the United States alone, and numbers are quickly growing (as of Aug 2015).